On stage at Microsoft’s Windows 10 event today, the company showed gameplay of Project Xray, a mixed reality shooter for HoloLens which has players using a “wearable hologram” to blast aliens that are bursting out of walls. 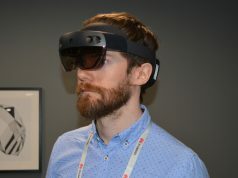 Using a specially designed camera setup to capture the action (showing more than the player would see at any given time), Microsoft showed off HoloLens’ on-board 3D mapping capabilities which provided the setting for the game, allowing robot enemies to break through the real-world walls of the demo space to attack the player in real time. 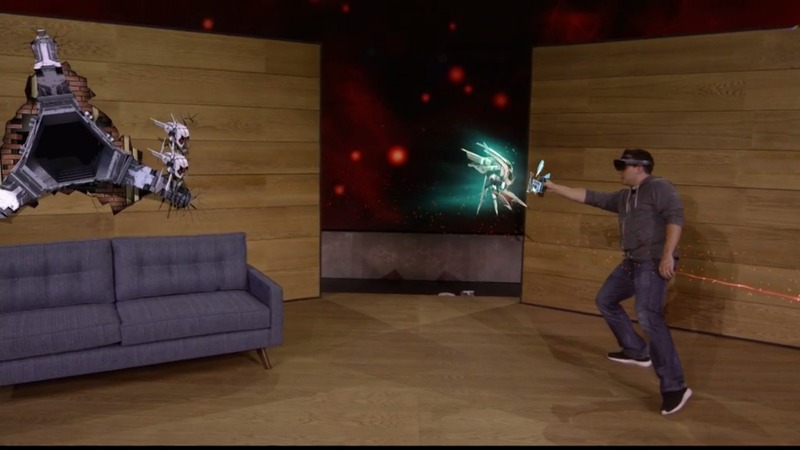 What was notably lacking in the demo was any of HoloLens’ gesture recognition input, which lets you use your hands to naturally select and manipulate virtual items. 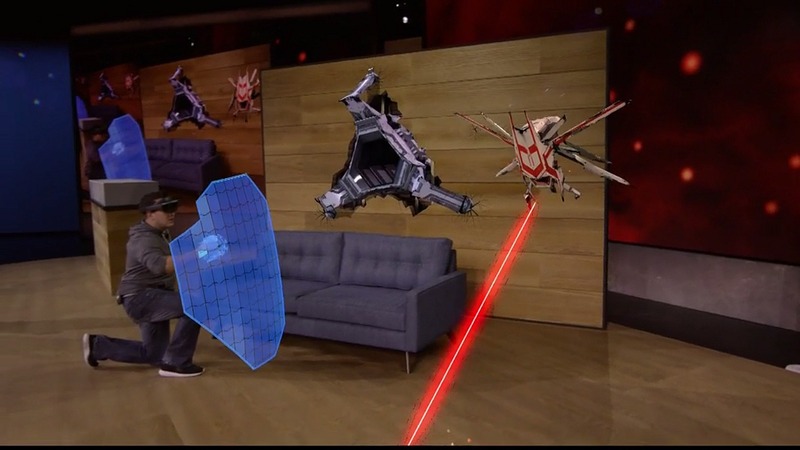 Instead, the demo featured a ‘holographic gauntlet’ weapon projected over a yet unrevealed handheld controller—possibly a placeholder for some future HoloLens-compatible device. A tractor beam weapon was also introduced that allows you to pull enemies closer so you can then launch them back at a crowd of other insectoid bots. From Chan’s description, Project XRay sounds more like a gaze-shooter than a true AR/VR-style first-person shooter where the player would need to show aiming skill to hit the targets. The public demo does however show the tester missing every so often, so it’s possible that earlier impressions differ from the current build. 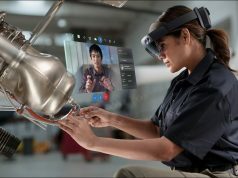 With ‘universal Windows 10 apps’ like Skype, Minecraft, and many more on the horizon—thanks to partnerships with Autodesk, Legendary, NASA, Unity, and The Walt Disney Company—Microsoft is gradually filling out the prospective use-cases for its cutting edge augmented reality device. The game mechanics shown in Project XRay are compelling, but we wonder how immersive a fast-paced game can be with such a low field of view as the device’s current 40-degrees. Very cool demo! Can’t wait to see what all comes out when the dev kits start dropping.